Belvedere Designs: May 2016 Customer Photo Winner! May 2016 Customer Photo Winner! Who else is in awe of this Nursery? 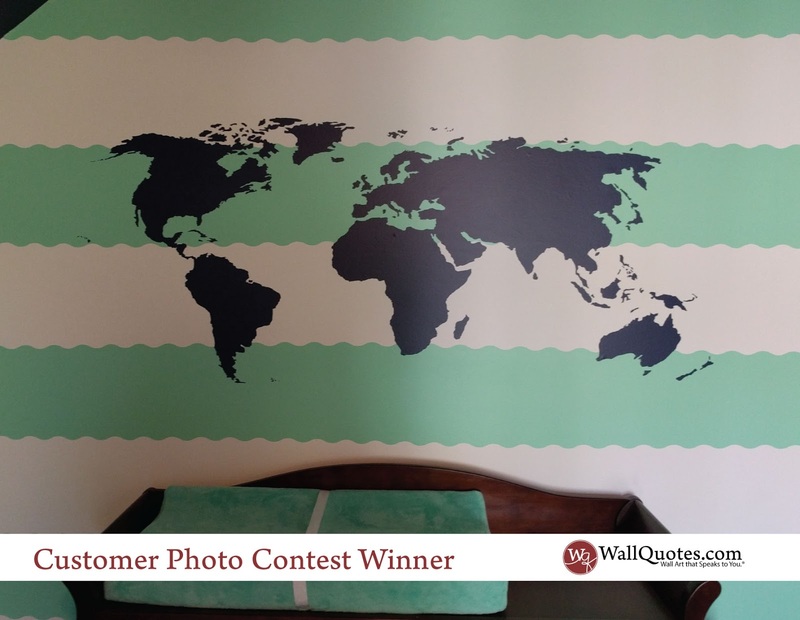 Megan shared this picture of her World Map Wall Quotes™ decal that just looks amazing! I'm sure this baby is going to go places! She ordered the 27" x 60" size in Navy Blue. It looks amazing with the Teal and Navy room. Megan says: "We plan on displaying pictures around the map with where we've visited and it's supposed to be educational for our baby too. 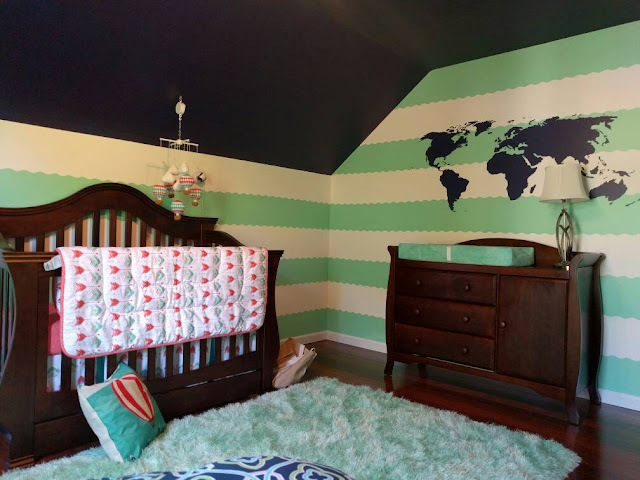 We love the decal, it looks great in our nursery! Thanks for the added attention and great customer service!" Here is another picture for your viewing pleasure!